which was held on 15th November 2014. As competition is over now and with consent of Karel Tesar (Organizer) I would like to share my contribution on my blog. Here is the 2nd one. You can check 1st one here. 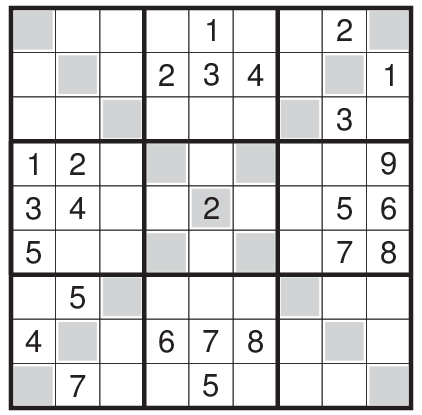 Rules:Place numbers in the grid such that each row, column and 3*3 box contain the numbers 1-9. 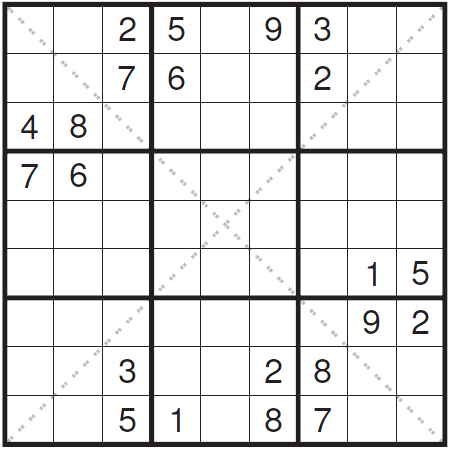 Main Diagonals (marked for clarification) also contain numbers 1-9. Thanks to Prasanna for creating the image for me, as I am out of home. Also thanks to Ashish for test solving it.